Twitter today updated its Windows Phone app, adding a slew of features and a new dark theme. 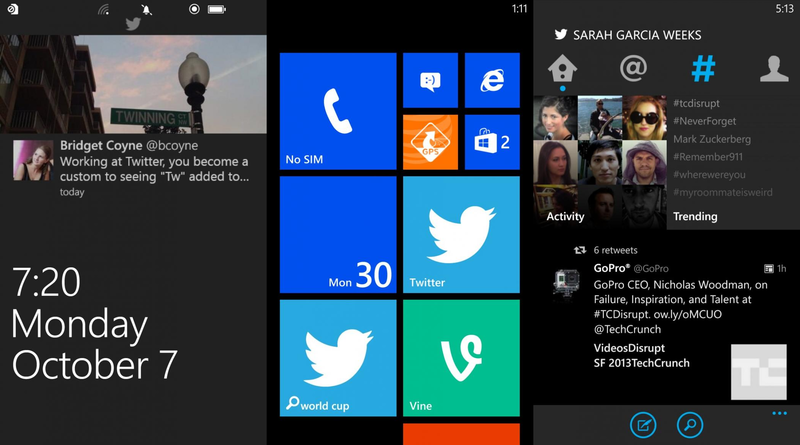 You can download the new version now directly from the Windows Phone Store. As first noted by WMPoweruser, this is a major release, given that the version has been bumped to 3.0. The first thing you’ll notice is probably the option to choose between a light and a dark theme. As for actual features, the update brings support for Live Tile notifications, meaning you can be notified when your favorite accounts send out a tweet. You can also pin keyword searches to your home screen as well as have “interesting tweets” highlighted there. During account registration, the app now offers suggestions for friends and other people to follow. Direct message syncing means your Twitter account is always up-to-date: read a message on your Windows Phone and it’s marked as read on other devices too. Last but certainly not least, the app has gained a better search experience by surfacing user profiles, trending topics, and activity happening in your network just like on the Web and in other mobile apps. Twitter for Windows Phone can now also give you suggestions based on your previous searches, and will show photos, videos, and accounts in addition to tweets. Select your favorite Twitter accounts and receive notifications when they Tweet. Customize your Twitter backdrop with either a dark or light theme. Pin keyword searches to your home screen for quick access to Tweets on a topic. Easily surface great content with improvements to Search and Discover. Set your language preference in settings and get tweets translated in your timeline (powered by Bing). Now with support for 13 additional languages (total is now 54). New Twitter lockscreen experience highlights interesting tweets on your home screen. Twitter still has a long way to go if it wants its Windows Phone app to be as good as its Android and iOS counterparts. That being said, it’s great to see Windows Phone-specific features being added already.